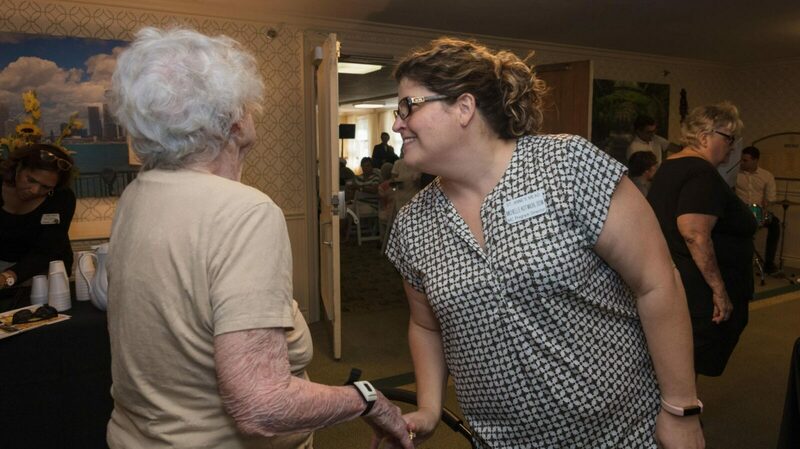 St. Anne’s Mead’s Assisted Living home provides a wide variety of programs and services designed to keep residents as independent as possible -- for as long as possible. With a single-story floor plan, we offer 50 resident rooms, some of which can be converted to suites, in a warm and loving environment. Our programs help seniors stay more active, social, and engaged in life than they otherwise would be living alone. We help families customize the types of assistance required to ensure residents receive the optimum level of care. St. Anne’s Mead recently added a state-of-the-art, therapeutic memory care home based on the growing need for this specialized level of care. 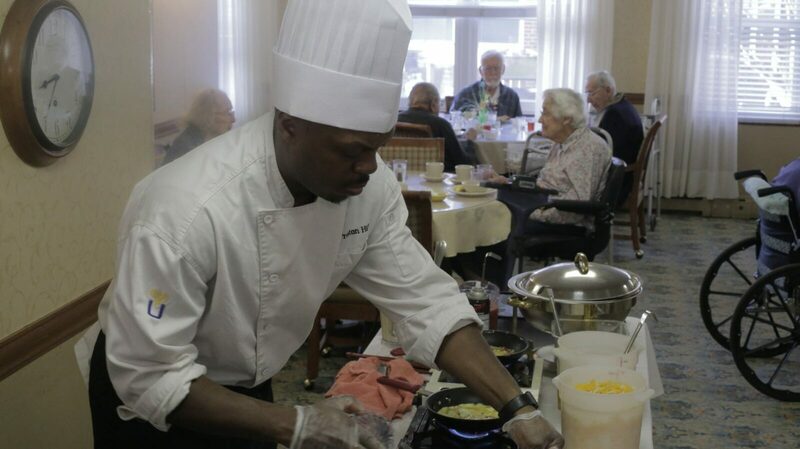 Our memory care home is the perfect complement to our assisted living and nursing care homes. 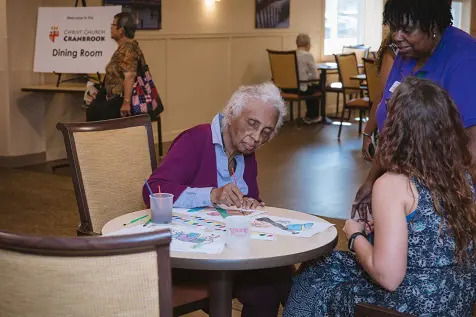 This 10,500 square foot, 21-room home is dedicated to the health and well-being of residents with various types and phases of dementia, with Alzheimer’s disease being the most common type. The atmosphere is warm and welcoming and family members are encouraged to participate in their loved one’s care. 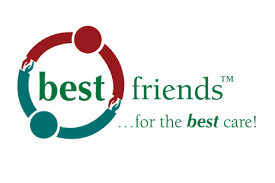 Specialized, structured activities are offered using the award-winning Best Friends™ philosophy of care which focuses on socialization as the best treatment for dementia. In nursing, or extended care, St. Anne’s Mead provides compassionate, loving care for residents with various levels of mobility and medical needs, including end-of-life, or hospice care. With 29 rooms including private and semi-private options, special attention, hourly room visits and 24-hour monitoring ensures safety and the highest level of personalized healthcare available. Because of our one-story floor plan, residents and caregivers enjoy easier-access to the entire building, including lounges and dining rooms. Our staff of professional medical providers, nurses, caregivers and life enrichment staff work to build meaningful relationships with residents and family members. 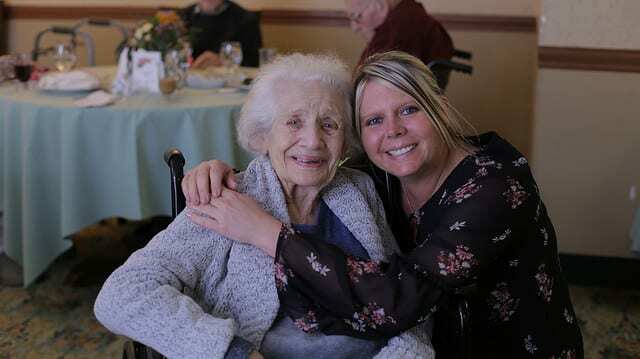 St. Anne’s Mead offers short-term, respite care complete with all the programs and services offered to our long-term assisted living and nursing care residents. Depending on availability of rooms, respite care is offered from one-week to up to two months. Because many of our senior community members have some degree of arthritis, we offer a walking club several times a week as well as exercise classes. We also have a certified yoga instructor who leads our yoga group. In addition, our Life Enrichment Team, including a Certified Therapeutic Recreation Specialist, conducts hand massage. Hand massage is for any resident who wants exercises to loosen the joints in their hands, and is especially beneficial for those with arthritis. St. Anne's offers physical and occupational therapy on-site five days a week to help our residents continue functioning at their optimum levels. Under the direction of a certified physical therapist, individual therapy is provided for assisted living residents at the direction of their physician. An exercise room is also available for all residents. Our providers perform eye exams for our senior community that include glaucoma and cataract checks. They evaluate current eye prescriptions and, if necessary, recommend new prescriptions. They also adjust and repair glasses, and provide new glasses. Because oral health is so important to overall health, we offer on-site dental care for our assisted living and nursing care residents. Our dentist provides twice-yearly cleaning and x-rays. The dentist makes recommendations and referrals, as necessary, to keep your oral health at its best. Our podiatrist is on-site twice a month and as needed to provide foot care for our senior care residents. Services include a foot bath, followed by nail trimming and a foot exam. Foot care is especially important for those residents with diabetes. If necessary, the resident will be fitted for diabetic shoes. St. Anne's offers audiology services on-site. 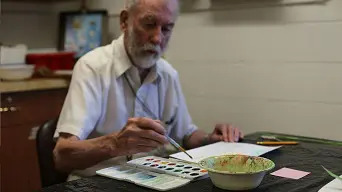 All members of our senior community can receive hearing tests, be fitted for hearing aids and our provider will help keep residents' hearing aids in good, working order. Our dietitian is on-site weekly to oversee the nutritional requirements of all our residents in assisted living and nursing care. They make recommendations to our residents, resident family members and their physician. Nutrition education is conducted monthly. Our medical providers are on-site two times a week, on call 24 hours a day and are experienced in geriatric medicine. Residents in assisted living are examined in our clinic, while those in the extended nursing care unit are examined in their rooms. Feeling good also includes looking good. Our beautician is at St. Anne's twice a week. She cuts, colors and styles hair for both men and women. She's also available for manicures.